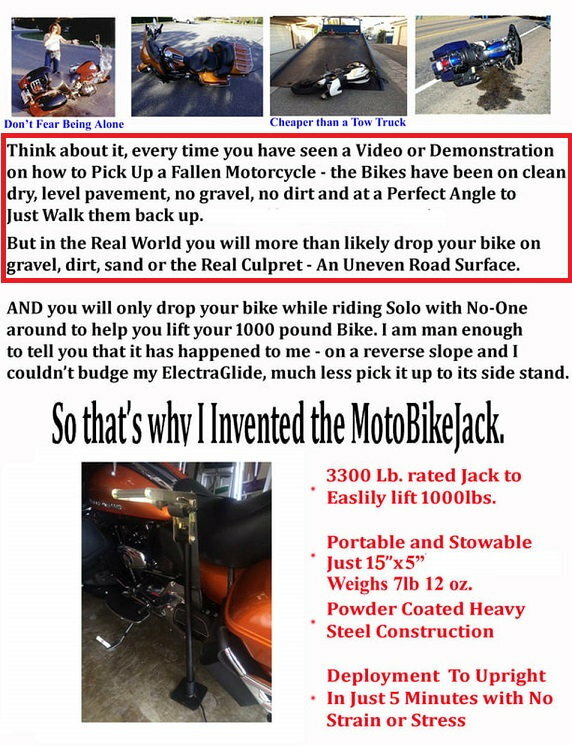 motobike jack - yes i can. Pretty cool and a lot cheaper than landing gear. One of those "why didn't I think of that" inventions. Pricy but worth more than that if you ever drop your bike. I have dropped bikes in the past. Usually I am so pissed, adrenalin makes picking the bike up feel as light as a feather. Unless your broken leg is wedged underneath it. Of course in that position, the jack wouldn't have done me much good either. 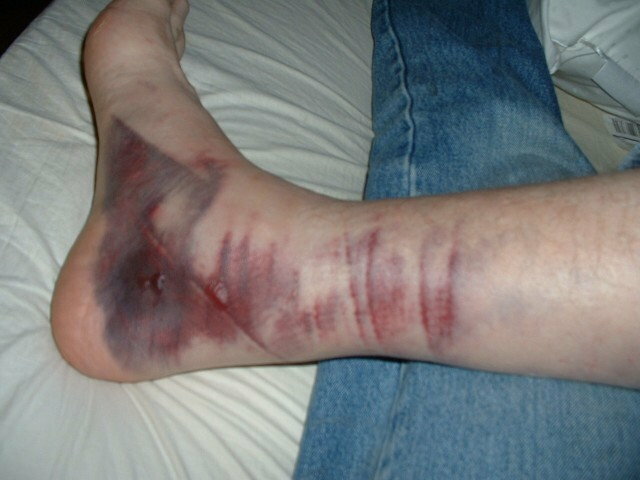 ouch, that is gnarly..made more so if your leg is trapped on searing hot exhaust.. I get why some riders may want something like this, but watching the demo video it was scary seeing that jack lean out like it does while lifting. They caution you to keep your foot on the base to keep the bike from falling again. I think a pivoting base world work much better and safer. I'm recovering from back issues/surgery and I got a Dirt Napper, which is similar to the Motojack, I'm sure. I haven't used it, but is reassuring to know it is with me if I need it. Location: Land of 10,000 THAWING Lakes! Thanx in advance TwiZted. I'll give ya my address next Dec. Ho-Ho-Ho. 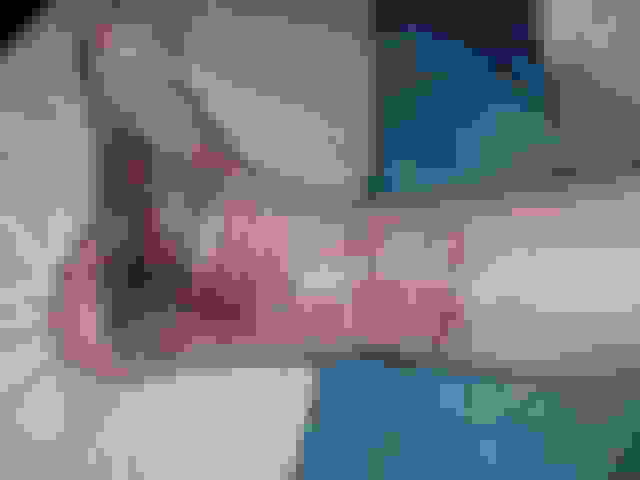 And then the video demonstrates it on guess what? On a "clean, dry, level pavement, no gravel, no dirt and at a Perfect Angle to Just Walk them back up." Sheesh. No really that would make a great gift for your friends, good on you. Had to pick up an FL recently for a rider. She was on DG (decomposed granite.) What does Harley make those out of, lead? A hoist would have been welcome. Those things are stoopid heavy!